Preheat oven broiler. Grease broiling pan or line with aluminum foil. Mix Parmesan cheese, butter, mayonnaise, and lemon juice together in a small bowl. Season with dried basil, pepper, onion powder, and celery salt. Mix well and set aside. 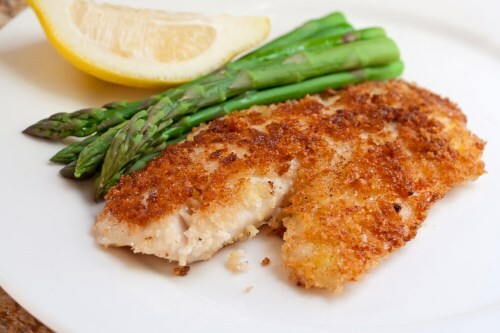 Arrange fillets in a single layer on prepared pan. Broil a few inches from the heat for 2 to 3 minutes. Flip fillets over and broil for 2 or 3 minutes more. Remove fillets from oven and cover with Parmesan mixture on top side. Broil until fish flakes easily with a fork, about 2 minutes.